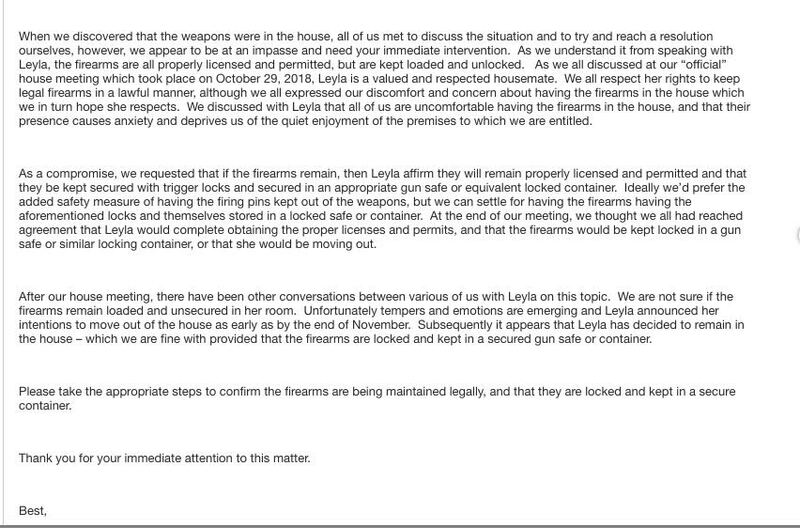 A landlord who owns the apartment where a Harvard grad student and six of her roommates live, is punishing her for being a legal gun owner. 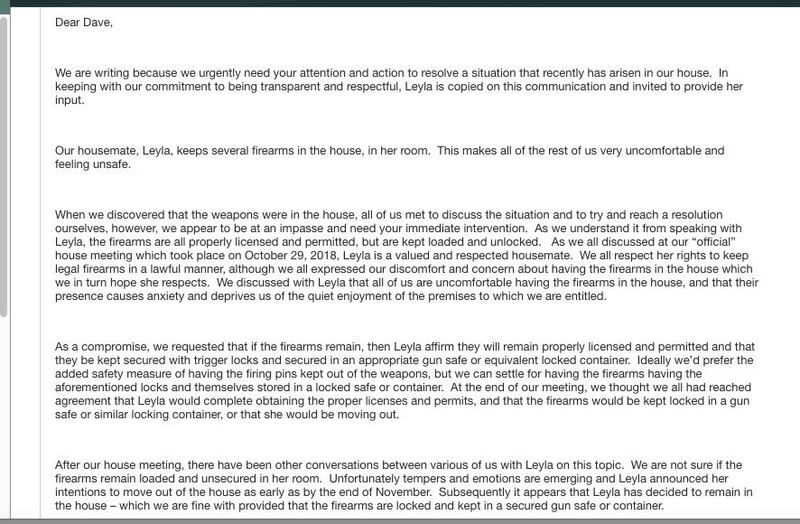 Her six roommates targeted Leyla Pirnie for owning a Make America Great Again hat and living in a red state. Is there anyone less tolerant than a liberal? 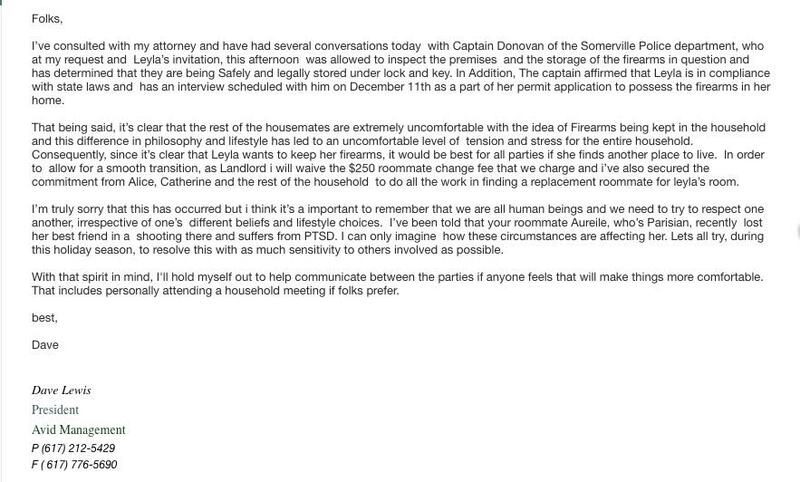 Pirnie agreed to allow the Somerville Police Department to inspect her firearms. The police department said she had not broken any laws and that she was in compliance with the law.